At this time of year it is important to take time out to think of those who may find themselves and their families struggling financially or homeless over Christmas. Today the team at Ryan Hanley have handed over a generous donation to a very worthwhile charity. Over the past seven weeks, we’ve had lots of lovely creations. We kicked off proceedings with a slightly lopsided Toffee Apple. Week Two saw a delicious sponge tray bake with the classic combo of strawberries and cream. 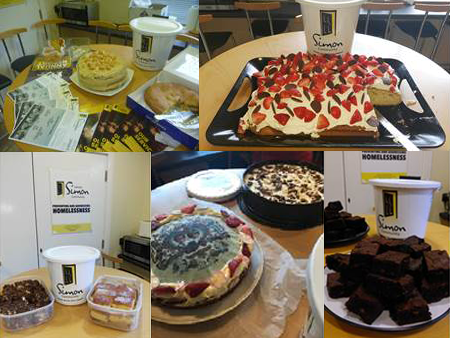 The ante was upped on Week Three with two different cakes – Lemon Drizzle, and Rocky Road. The competition was knocked out of the park in Week Four with a wonderful Charles & Diana cake, plus a very tasty Banoffee. The Baileys Poke cake in Week Five had a delicious kick to it and we started the Christmas mood at Week Six with a Rudolph cake complete with gingerbread antlers. And finally, this morning, we have a mountain of chocolate brownies for you to try. We are assured that they are indeed special! It’s been brilliant fun, and all for a very good cause. 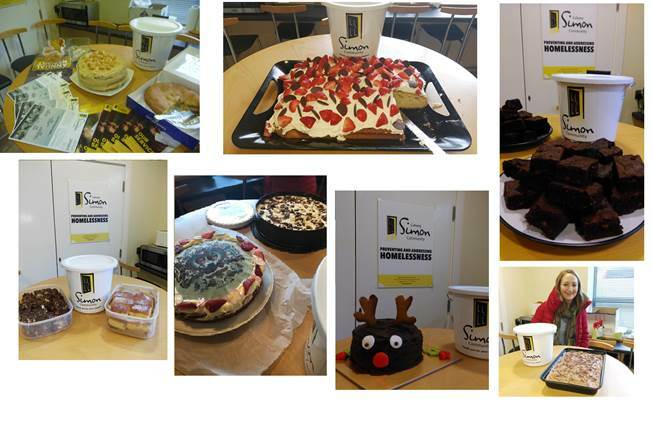 Thank you to everybody who partook in the baking, eating and more importantly, the donating over the last seven weeks!! Just proves how creative and innovative the Ryan Hanley team is!